No large capital outlay, no risk. 30 day cancellation options (T’s & C’s). From R 690 (excl.) Per month. Purchase anytime options or extend to 36 months and the machine becomes yours. Rental clients do purchase our premium coffee at preferred price structures. 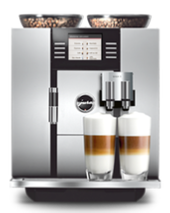 Renting a coffee machine is an ideal low cost option for offices, restaurants, hairdressers, showrooms, B&B’s, Guest Houses and Hotels. Hire options start for as little as R 690 (excl.) per month and include an anytime purchase option. After an analysis of your needs, we’ll be able to structure the best possible package for you. Caution: It is fairly common industry practice to offer so-called “free-equipment” or equipment at fantastically low prices if you buy their consumables; to entice one into a franchise agreements where the supplier enjoys half the profits of your labour and risk; of machines that are designed to only accept one type of pod or capsule and complex agreements that have no cancellation option and/or where you pay forever and never become owner of the equipment. Another trick is to make the free-machine conditional upon a certain amount of coffee. What will it cost you if you don’t buy the agreed amount? We caution clients to do a full analysis before signing up. Read about the traps that face restaurants and other coffee outlets. This is one of the most popular machines in our rental fleet. For large use applications. 30-100 cups per day. Best for restaurant or retail applications. Coffee shops; Hotels; Bed and Breakfast; Guest House; Showroom; Conference Venue; Offices; Hairdressers; Restaurants; Padstal; Country Store; Road houses: Farm stores; Game Reserve; Lodging; at home; Holiday Houses. Your visitors are now accustomed to good coffee, it’s no longer a luxury, it’s more of an expectation. With our rent-to-buy options, serving good coffee is not as expensive as you might think. The approximate cost of the actual coffee portion is only R1.80 to R2.00 per cup depending on your preferred strength; brew type and machine. The costs of your milk and sweeteners are also estimated at around R2.00 so serving good coffee is not as expensive as one might think. Send us an enquiry today and you will soon be impressing important clients and satisfying you and your staff. It really doesn’t matter if you run a small B&B or a six-star game lodge, it really is time you thought about your coffee offering. 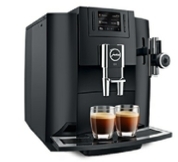 EL Coffee are the appointed distributors of a range of professional machines. We offer outright purchase or our popular rent-to-buy options whereby the machine becomes yours after 36 months. We will help you work out which machine is best for your specific circumstances - an enquiry is free - Interested? Please complete the form below and we’ll put a tailored rental plan together. Read a little more first. We are a registered (SA/2004) and audited Proprietary (Pty.) Limited (Ltd.) Company, we are VAT and BEE (level 4) registered. We undertake that all correspondence and quotations will be clear and transparent; will be in writing and be clearly reflected on written and signed documents to be agreed by all parties. Please send us an enquiry and we will help you through the different decision making processes. The link below will take you to a specific page designed for new businesses enquiries. Your business is existing, any type from a coffee shop to a car showroom and you are considering renting or buying a coffee machine for you, your staff or your customers. The link below will take you to a specific page designed for existing new businesses enquiries. We might be speciality coffee roasters, but roasting coffee is merely one side of the process. 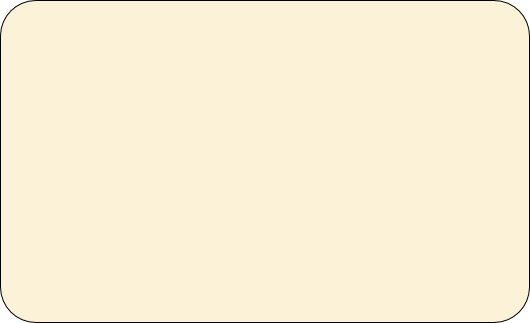 The bean or ground coffee still has to a. get to you in perfect condition (b) taste exceptional (c) be converted into a coffee-brew and lastly (d) be converted, in all likelihood into a popular milk based drink such as cappuccino or a flat white. We have made it our business, in addition to roasting exceptional quality coffees, to become logistic specialists, machine experts and overall, to offer a full service to our clients across all areas within the coffee cycle. Coffee is our business, service is our secret.